Thousands of books vie for that title. Nearly every religious movement in history has claimed that its texts are the one true guide to life. Most of those books have faded from memory along with the groups that wrote them—but one religious book is different. When it comes to the Bible, people have loved it and hated it, but one thing they have never done is ignore it. 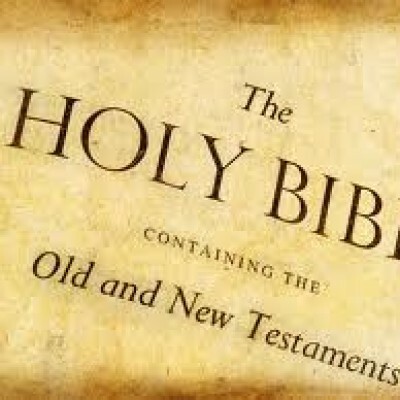 For thousands of years, probably no religious book has been the source of more controversy and devotion than the Bible. It’s been banned, translated into countless languages, burned, smuggled, mocked, defended, and consulted for answers to everything from prophecy to politics to morality. People have committed horrible acts while citing the Bible as their justification… and they’ve done beautiful acts of goodness while claiming the Bible as their inspiration. What is this volatile book, and why is it still on bookshelves around the world thousands of years after it was written? If you’ve ever picked up the Bible and read parts of it at random, you may have felt more confused than enlightened. What’s in the Bible that causes so many extreme reactions, and that makes it so important to people today? The Bible was written not just by humans, but by God himself. God inspired the various Biblical authors to write what they did. Since the Bible was written by God, it’s perfect—the teachings and ideas it contains are God’s own, and are completely trustworthy. The Bible’s purpose is to show us how we, personally, can find God. The entire Bible—from the “boring” history parts to the amazing eyewitness accounts of Jesus’ life—tells the story of God’s love for us, and how we can come to know God personally through Jesus. The Bible is made up of hundreds and hundreds of pages and countless different tales, but all those stories fit together to tell a single story: God loves us and wants to know us personally. That core story is sometimes called “the Gospel,” and Christians consider it the most important story ever told. If you’re new to the Bible and want to learn more about this core story, you can read more about the Gospel. Or if you want to find out more about the Bible and what it says, there are plenty of Bible studies at Caz Church to help you delve into the text. If you want to skip all that and dive right into the Bible text itself.